In a big splash, Yahoo (YHOO) hired Google (GOOGL) executive Marissa Mayer in 2012. Mayer instantly tried to transform the company's culture, famously making the cafeterias free, giving out iPhones to employees and controversially banning telecommuting. Mayer also put a big emphasis on improving Yahoo's user experience, focusing in particular on Yahoo's mobile products. Mayer made big changes to Yahoo Mail, redesigned the homepage (twice), eliminated dozens of extraneous products and even redesigned the company's logo. One of Mayer's primary areas of focus has been attracting new talent, often by buying (and then shutting down) tech companies. She also tried to make Yahoo a stronger media player by going after flashy talent hires, including Katie Couric and David Pogue. Mayer also negotiated a deal to host all Saturday Night Live content on its website. But Mayer has been criticized for lack of progress on Yahoo's core advertising business. Search and display ad growth has been underperforming Wall Street's expectations, and investors are growing impatient with Mayer's lack of results. 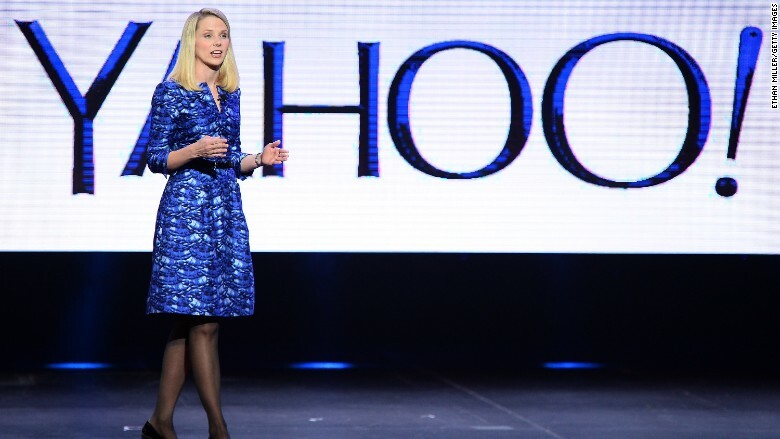 Her future is unclear now that Yahoo agreed to be sold to Verizon (VZ) in a $48 billion deal.